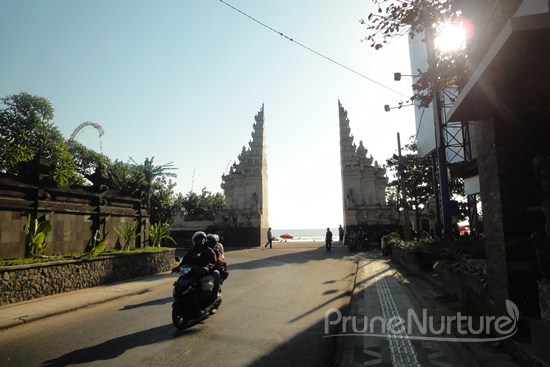 Legian, the coastal town in South Bali is located in between Seminyak and Kuta. Apart from the beach, there is not much to see except to shop, wine and dine. It is said that Legian Beach is one of the best in Bali for viewing the sunset. It was an hour drive from Mara River Safari Lodge to The Magani Hotel, Legian. We had a good chat with the driver whom we arranged with hotel about the lower educated locals facing the stiff job competition and his job as a freelance driver. 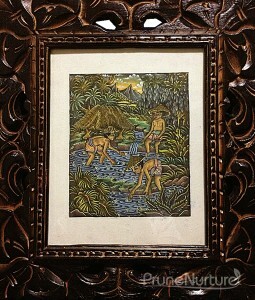 We bought this at RP70,000 at Krisna. He also shared with us how to shop in Bali. He said that the prices in art markets – Sukawati or the like – are usually overpriced so we need to practice the art of bargaining by asking for 50% discount and negotiate from there. Thinking to myself – it would be very tiring to bargain for everything we buy at the art market if we were to get anything. On our way to our hotel, the driver spotted a signage – Krisna Oleh-Oleh Khas Bali and told us that this is where the locals buy cheap souvenirs and local snacks. Unlike the art markets, which are usually frequent by tourists, the prices are fixed at Krisna. The prices are said to be cheaper (we didn’t have time to compare) and no bargaining is required. He dropped us outside Krisna and gave us 30 minutes to shop. We quickly browsed through the mega one-stop souvenir shop and bought a few t-shirts, art pieces, souvenirs and local snacks. Then we hopped onto the car and left for our hotel which was only about 10 minutes drive away. When we finally reached our hotel, we were very impressed by the contemporary looking hotel nestled among the little shops, restaurants and busy roads. We were given a warm welcome by the hotel staff too. After we checked-in, we left shortly for the Legian beach. 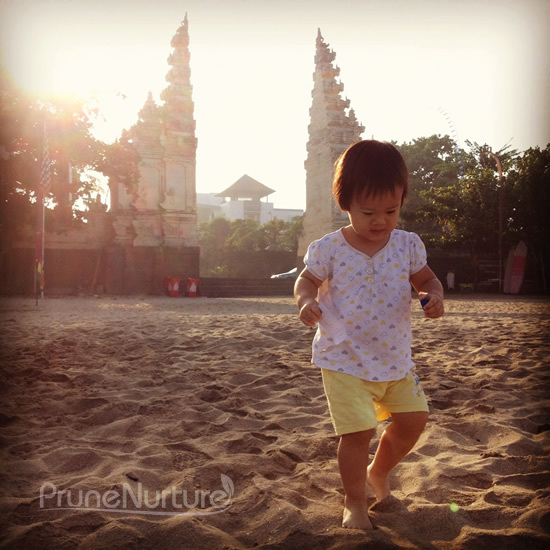 It is only 5 minutes walk from our hotel to Legian beach. Along the way, we passed by many shops selling souvenirs, t-shirts, clothes. We took a stroll along the beach. It was a funny sinking feeling when the rushing waves touched our feet and carried the sand under our feet along with the receding water. Dot was afraid of the rushing water and refused to touch on the water even after much persuasion. She just walked along with us from a distance. 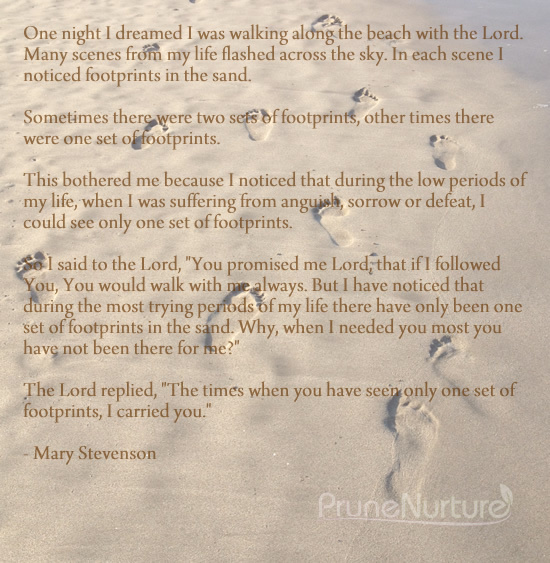 The footprints we left behind as we strolled along the beach reminded me of this famous poem – “Footprints on the sand”. As we walked, Dot and I picked up some shells and dead corals. 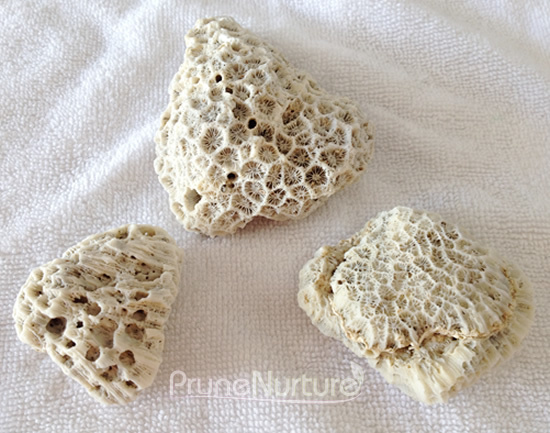 We then chose three pieces of corals to bring back home. Dot was happily playing with the fine sand at the beach and we had to literally dragged her off the beach when we were about to leave. Dot also had a great time playing in the central pool in our hotel. 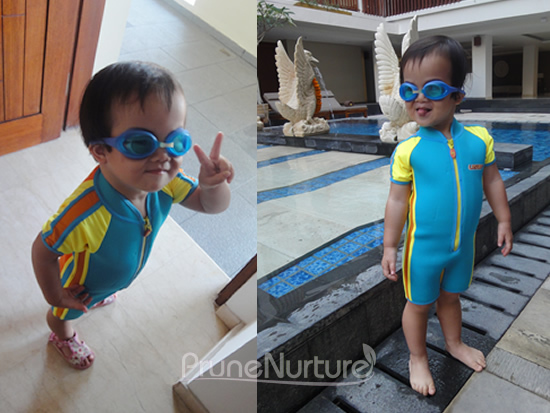 This water baby simply loves splashing and playing with water. It is a restful time of shopping, sun, sand, food at Legian. It had been a fun and fruitful 6-day in Bali – our best experiences in Bali were the Jatiluwih rice terraces, dolphin watching at the break of the day and the fun-filled day and stay at Safari park. Service Quality: The staff are very friendly and helpful. The hotel provides free transport from hotel to Denpasar airport. Deluxe Room: The room is clean and comfortable. However, our bathroom was flooded after shower as the floor is not level. When I wanted to throw rubbish, I was searching high and low and only found one dustbin under the desk in the bedroom. Another one should be placed in the toilet or near the basin. Food: The food is good. The best among the hotels we had stayed in Bali. Special Request: The hotel kitchen willingly accepted our request to prepare porridge for our toddler at no additional charge. The porridge was very delicious and my girl enjoyed her meal. 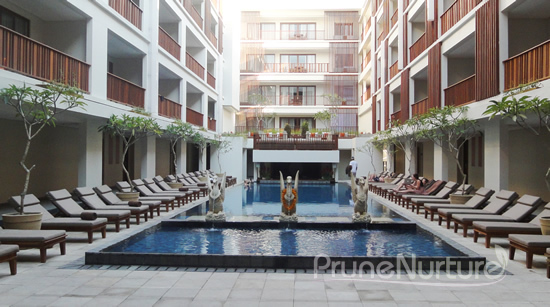 Ambience: Beautiful and contemporary hotel with a lovely pool. WiFi: WiFi is only available at the public area – lobby, pool and the dining area. We could not access WiFi in our room which is at 5th level. 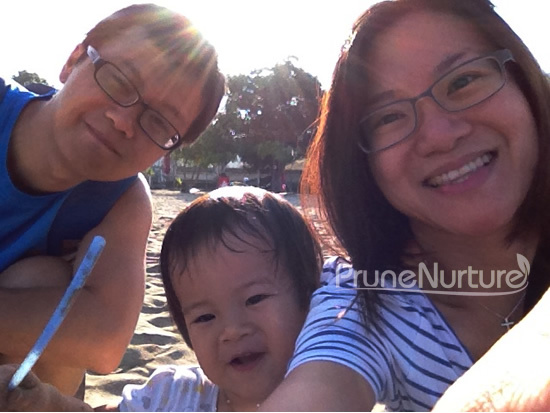 Hi, I stumble to your nice blog when browsing about Lovina beach. We have plan to go there and we read your story. First, very cute Jay remind to our 3 year old daughter. Then reading your “Foot Print” Poem very touching and you have a blessed family too (and off corse nice holidays too). Thank you for sharing, btw we wonder how much cost you spend for booking vessel in Lovina to see dolphin ? Hi Vincent, Thks for visiting my blog and your nice compliment. For the dolphin watching at Lovina, we booked through Melamun Hotel at 70,000RP per head. For our daughter it was free. Our guide for dolphin has a fast boat so we reached the dolphins faster than some of the boats. Enjoy and let me know if u need more info. Cheers.